I just love when connections happen... not coincidences (these don't exist, remember?)... but the connections that occur when I know I am right where I am supposed to be on my journey. Sometimes when this happens it is a huge event - bells, whistles, a marching band, or anything else that may get my attention. At other times, I feel the connection, smile, and just give thanks for the sign. It is the latter that I have been blessed with this week. Last week it was brought to my attention that I had been very negative for quite some time. That the comments that I had made and my overall outlook was making it hard for others to want to be around me. Ouch, right? I mean, that was my first reaction. Who wants to hear that when you are already in an apparent sour mood? Well, I didn't say much, but I listened and then I let those words sit with me for a while. It really made me take a look at how I had been behaving/acting/reacting, etc. I saw the negativity, too. At church we have been talking about freedom. More specifically, the freedom you get when you become a follower of Christ. A list was given of all of the negative emotions you can lose and the positive ones that you can gain. 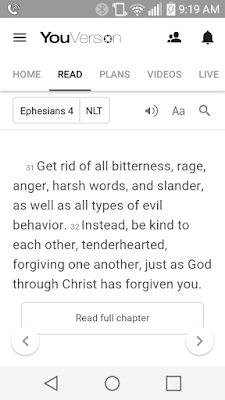 I cannot exactly remember the list, but I have confidence that you can put together your own list of negative emotions that could be shooed straight out the back door once Jesus is in your heart, right? Now replace that list with a list of joy, redemption, elation, etc. I love Jesus, I have asked him to be my Lord and Savior. I have been baptized in His name. So I should be happy, right? 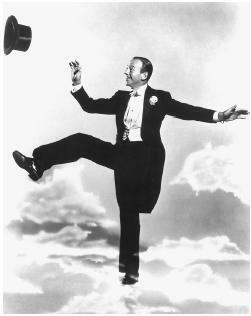 I should be jumping around with my tap shoes on, trying to start up a dance competition with Fred Astaire. Or swinging from the rafters. Or shouting praises from the mountaintops. (Should I keep going or do you get the picture of the extent of happiness I am trying to portray?) The missing point is that we are promised great joy, but we have to accept it. After all, anyone can give us a gift, but we don't get the benefits of the gift until we actually open (accept) it. I really felt like this tiny part of the overall message spoke to me and reminded me that I have all of these gifts and tools at my disposal... so there is no need for me to worry and bog my spirit down with the unnecessary. I am taken care of. 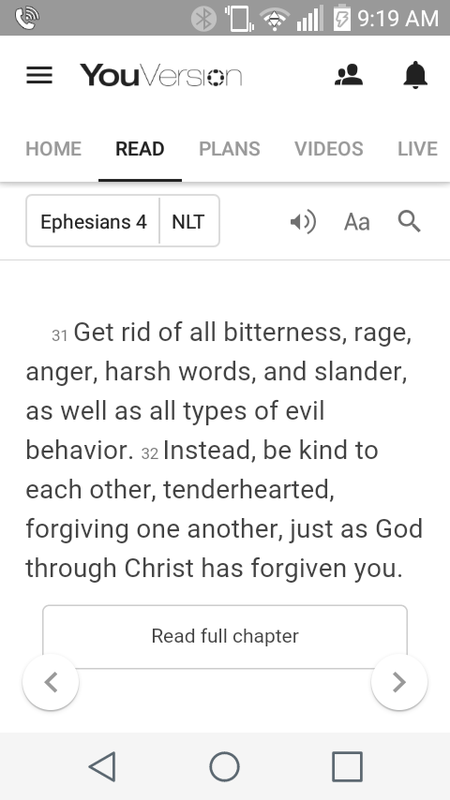 There is no need to even break that verse down. I mean, it is there in black and white... my recent negativity is no bueno. So, I say thank you, God, for the reminders... For the connections that are always happening around me. I have been given gifts and I accept those gifts. Sometimes, though, when we encounter the bumps in the road of life, we need to remember what we have been given and not get caught up in the little things. Make sure to remember what you are grateful for today. And every day.